Are you still trying to figure out what internet marketing is and how it works? You’re not alone. My goal here is to give you a better understanding of internet marketing, what it is, and how you can do it. Internet marketing is simply this: Marketing via the internet. Internet marketing is simply a way to promote your brand and products online. Most businesses have a specific market they are trying to reach. Internet marketing makes it possible for businesses reach these targeted consumers through various digital channels. The obvious first step is to a web site for your business. Depending on your business, it can be a simple one page site or a full blown ecommerce site. Once you have your site, you will need to drive traffic to the site so people can find you. Businesses use a number of different marketing channels to get their message to their target audience. You might use social media, Pay Per Click (PPC) ads, display ads, email marketing, traffic exchanges, etc… to attract and engage your target consumers. Consumers and businesses use the internet to make a lot of their purchasing decisions. If you want your business to grow, you absolutely need to be taking advantage of every available internet marketing channel you can. That is where your customers are. There are a few steps you will want to be aware of in the process. I see a lot of people who are new to internet marketing start out with the idea that if they just get a web site or join the right “program”, they are going to get rich. Reality check: Success in internet marketing comes from properly using the internet to achieve real business goals. ATTRACT You will need to attract visitors to your web site. This is where you run your ads, do your social media promotion, invite friends, etc… You are promoting your site to let people know what you have to offer. Those who are interested in learning more will click the link in your ad to go to your site. CONVERT This is where you convert some of those web site visitors in to leads. When they get to your site, they are interested in learning more. That’s why they clicked your link. Your web site needs to offer them more information, a free sample, something that gets their attention so they want to fill out your capture form asking for more information. CLOSE This is where you convert leads in to actual paying customers. 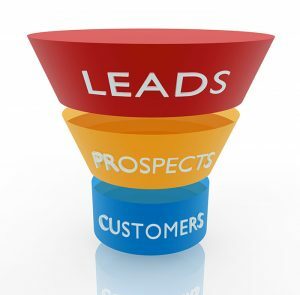 When you use an autoresponder service like TrafficWave.net, your are able to follow up with these leads. More than just sending a sales pitch, you can build some rapport, let your subscribers know how your offer can help them. As they begin to know you better and feel they can trust you, they are more likely to buy from you. SERVE This is where you turn customers in to fans and pick up referrals. Once you’ve made the sale, you can continue using your autoresponder to follow up with customers, show them how to maximize the benefits of your product or service, and even ask that they recommend your service to their friends. As things change, and they always do, you will be learning more and more about how to maximize your results with each of these steps. Along the way, you may find yourself learning more about Search Engine Optimization, Content Marketing, Email Marketing, Advertising, and more. Every successful internet marketer you’ve met or heard of is going through that same learning process.